Among other wine events held in Italy, Vinitaly is one of the most famous exhibitions. Each time the exhibition is gaining new heights and becomes even more significant. In previous years, the number of visitors reached 155000 wine gourmets. At the exhibition in Verona you can see representatives of wholesale companies, restaurant owners, wine importers and retail buyers. Veronafiere is an organizer of the exhibition. Venue: Viale del Lavoro 8, Verona. Date: in 2017, 51th Vinitaly Wine and Spirits Exhibition will be held from 9 to 12 April. Cost: 80 euros per day. The ticket for all 4 days of the exhibition costs 120 euros (valid for one entry to the exhibition territory during a day). Registration for a visit to Vinitaly is compulsory. Persons who have not reached the age of 18 are not allowed to the exhibition. Also, the exhibition is banned for children, even accompanied by their parents. It all started with a modest holiday "Days of Italian Wine", first held in Verona in 1967. Nobody suspected that over time it would turn into a wine event of this magnitude. Every winemaking country wants to achieve recognition. Therefore, you can both study varieties and brands of wines, and take part in tastings, seminars and lectures. The time for all events in the exhibition days is from 9:30 to 18:30. 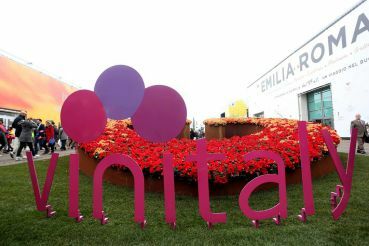 Under the brand Vinitaly International, exhibitions in China, the US and Russia are held. They fully comply with Vinitaly standards. Since 2016, Vinitaly International Wine Award – 5 Star Wines has been awarded at the exhibition. This award is highly valued in the wine industry. A brand-owner of the most unique packaging of alcoholic beverages will receive awards of International Packaging Competition. Winners will be chosen from almost 4 thousand drinks. 50th Vinitaly Wine and Spirits Exhibition was visited by about 130000 people from 140 countries. The organizers noted the growth of buyers from Germany, Canada, the United Kingdom, the USA, France, Russia and Japan. And the delegation from China has increased by more than 100%. The first time in a long time Venetian palace became available again to the public. Now all the rooms of this historic building will be temporarily used the fairgrounds Ca' Corner Della Regina to show you a unique exhibition of musical instruments.